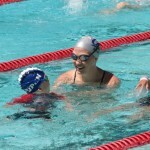 Bremerton swimmer Nathan Adrian won the 50 freestyle at the U.S. National Championships on Saturday in 21.47 seconds. It’s the fastest time of the year and it matches the meet record. 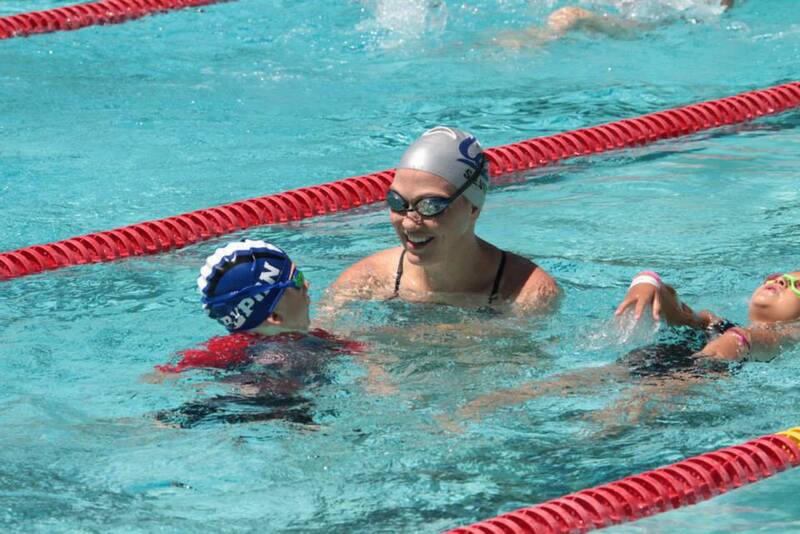 Bremerton’s Nathan Adrian won the 100 freestyle title at the U.S. National Championships in 48.10 seconds. Annette’s on vacation and unable to provide you with your Nathan Adrian fix, but I’ve got her back. The Bremerton swimmer posted the top prelim time in the 100 at the U.S. national championships in Indianapolis on Tuesday morning. He swam it in 48.54. When he won the gold medal in the event last summer at the London Olympics, he swam it in 47.52. Here’s a little more on the other finalists. The finals being at 3 p.m. today. They’re not the oldest swim club in Kitsap, but the Poulsbo Piranhas Swim Team is celebrating a milestone this year. The PPST has been in existence for 10 years and are producing some quality age-group swimmers who have not only been placing among the top 10 in PNS rankings, but improving by leaps and bounds in all aspects. I’ll take a closer look at the club in an upcoming story as I talked to head coach Patty Jenkins, several swimmers and their parents on what their recent success means to them and where the club is headed in the future. Here’s a couple pictures I snapped at practice on Tuesday. 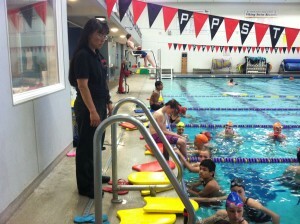 Patty Jenkins lead practice for the Poulsbo Piranhas Swim Team on Tuesday. 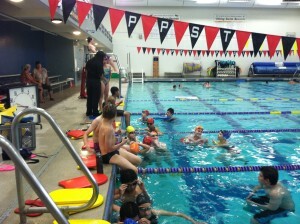 Swimmers take a break during practice for the Poulsbo Piranhas Swim Team at the NK Community pool on Tuesday.